online banking • Max Blog • Max. your best interest. Max’s top rate of 2.46% is now higher than the highest advertised rate of any bank. When we launched Max back in 2014, the premise was very simple: online banks have lower operating costs, and so should be able to pay higher yields to customers than their brick-and-mortar counterparts. The market dynamics were very similar to what we observed in the word of e-commerce: eliminate storefronts, and goods naturally cost less. In the case of banking, rather than lower prices, online banking makes possible higher interest rates. Back then, the average Max member was earning 0.88%, or 0.76% more than the national savings average. Not bad. Over the years, we’ve found ways to remove many of the frictions that keep people from earning more on their money. With the Max Common Application, it’s possible to open multiple high-yield savings accounts by filling out a single form. With our newest platform banks, we’ve been able to eliminate trial deposits, making it possible to link new savings accounts to your existing checking account instantly. And for clients who join Max through their financial advisors, we can even eliminate form filing. Imagine opening a bank account without ever needing to type in your name and address. As rates have risen, Max members are earning even more. Today, the highest yield on the Max platform is 2.46% — that’s not only higher than the highest nationally-advertised savings rate in the country, but it’s also a staggering 2.36% higher than the national savings average, which stands at just 0.10%. How do we do it? By eliminating customer acquisition cost for banks. Most banks have to pay hundreds of dollars to attract each new customer account, through a combination of advertising and referral fees. Who pays for this expense? You, the depositor, by accepting a lower yield on your cash. By contrast, Max does not accept advertising or referral fees from banks. Not only does this eliminate potential conflicts of interest, but it also means that you can earn higher yield on your cash. Take a look at your existing checking and savings accounts, or put a magnifying glass to your brokerage account statement to see how much you’re earning on cash. If it’s lower than 2.46%, it might be worth taking a few minutes to see if Max could be right for you. High net worth households currently have 23.7% of their holdings in cash. When clients hear that they could earn more on their cash without sacrificing liquidity or giving up FDIC insurance, they are often surprised. Aren’t banks paying almost 0% in interest now? It’s a conversation we hear frequently at Max, where we are working to help financial advisors and their clients maximize the interest they earn on cash in the bank. Max is an intelligent cash management service that automatically allocates clients’ cash between their existing checking or brokerage account and a portfolio of higher-yielding FDIC-insured savings accounts at the nation’s leading online banks. Most Max clients are earning more than 1.00%. 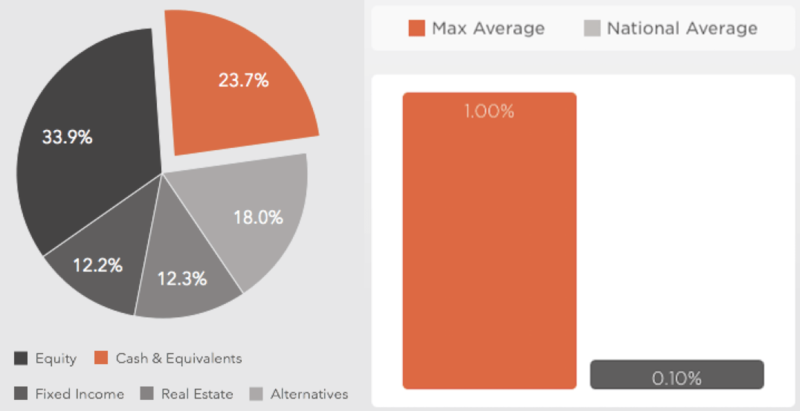 The reason clients are curious about Max is that the average savings account in the U.S. pays 0.11%, with many bank or brokerage accounts paying only 0.01% or 0.02%. That means Max members are earning about 10 times as much on cash as the average, and considerably more that they earn in a brokerage account. 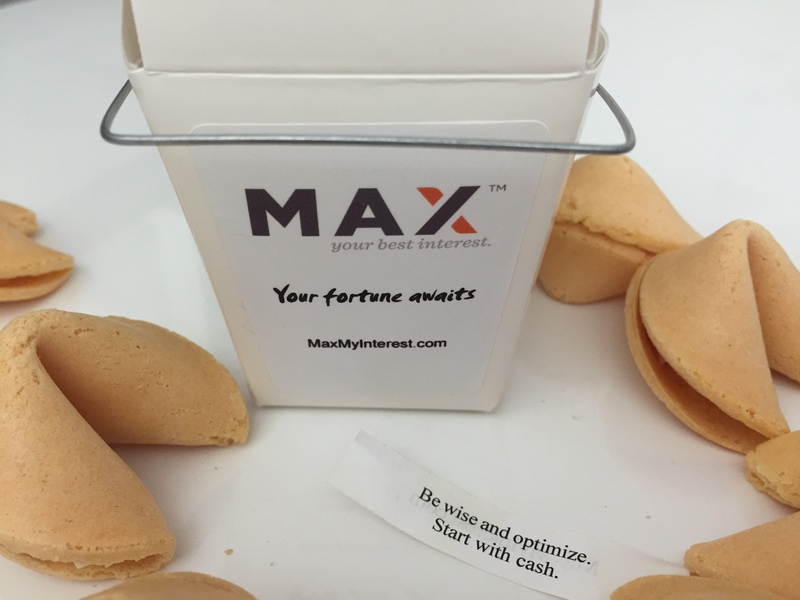 How does Max help clients earn more on cash? Online banks are more efficient than brick-and-mortar banks. Without retail branches, their lower cost structure allows them to pass along more yield to clients who deposit cash with them. And by optimizing clients’ cash across several online banks, Max helps keep cash within the FDIC deposit-guarantee limits. Max is not a bank, nor does it provide financial advice. Max is a technology-driven tool that automatically optimizes a client’s cash balances among accounts at online banks held in the client’s own name. Clients retain direct access to their funds, maintain their relationship with their primary checking-account bank (or custodial account at Fidelity or Schwab), and can continue to use all bank services like notaries and tellers. Be wise and optimize: Start with cash. With the stock market off to a violent start to the year, many investors are looking to an asset class that performed better than equities last year: cash. In 2015, most cash in the bank earned, essentially, zero: the average bank savings account paid depositors about 10 basis points, or 0.10%. But those investors savvy enough to put their money in online-bank savings accounts earned up to 1.05% on FDIC-insured cash. That’s a healthy return, compared to the equities market. In 2015 the Dow Jones Industrial Average fell 2.2% and the S&P 500 declined by 0.7%, according to the Wall Street Journal. Poor returns are contributing to the growing number of pension funds and other institutional investors who are warehousing cash — as much as 10% to 15% of some portfolios, the newspaper found. For individuals who also feel they should hold cash on the sidelines — either because they’ve adopted a conservative, capital-preservation stance, or because they want to reserve dry powder for market buying opportunities — the difference between 10 basis points and 100 basis points on cash is significant, particularly when compounded over time. It’s even more material when the stock market itself is in decline. And rates probably won’t stay this low forever. Now that the Federal Reserve finally has raised interest rates, online banks likely will raise their rates more rapidly than bricks-and-mortar banks, because their cost structures are more flexible. Investors who already have online savings accounts for their cash will benefit from this trend. Those who use Max to optimize their cash will see higher rates automatically, when the banks raise them, since Max automatically helps funds flow to whichever banks are offering the highest yields. For cash held on the sidelines, it makes sense to earn as much as possible, while protecting principal by ensuring full FDIC coverage. Risk, and the volatility of risky returns, are for other asset classes. Cash is stable, and should churn out a steady yield while staying safe. Learn how Max can help investors earn more on the cash within their portfolios. Hit the road, Jack: Gardening leave is an ideal time to reevaluate your finances. Congratulations! 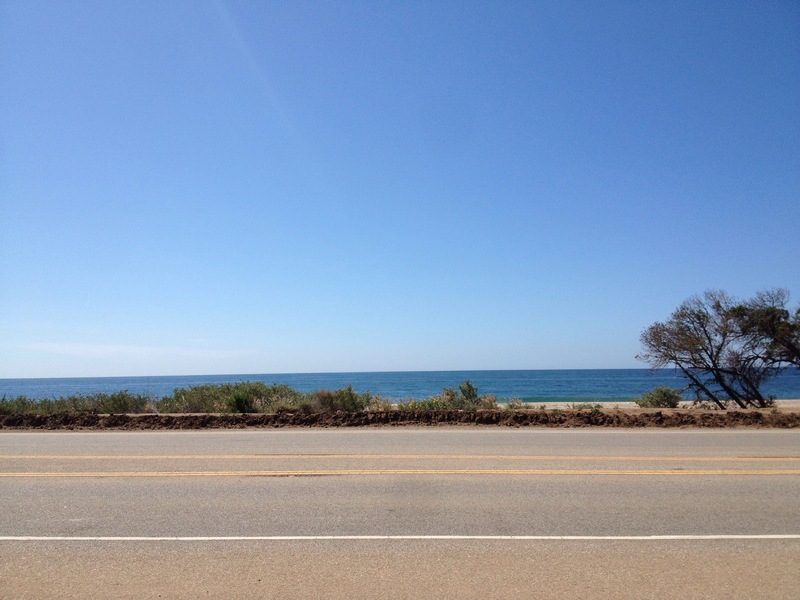 You’re leaving your firm and embarking on a short paid vacation before starting a new role. During this gardening-leave period, you’re not permitted to work for your new company, and technically anything you produce still belongs to the firm you’re leaving. That means this is a perfect time to travel, read, and tackle the personal projects that you never have time to handle. Take this opportunity to make sure your finances are in order. Ideally your new job will mean you won’t have time to do this again for a while. Here are some ways to get the most out of your gardening leave when it comes to financial organization. Check that your will and the beneficiary designations on all your accounts are up-to-date, especially if you’ve had them for some time. Make sure you have a centralized list of all your accounts and benefits along with contact information. If someone had to call those institutions on your behalf, would they know how to reach the right person? It’s useful to keep a hard-copy “doomsday file” in a safe place for emergencies. 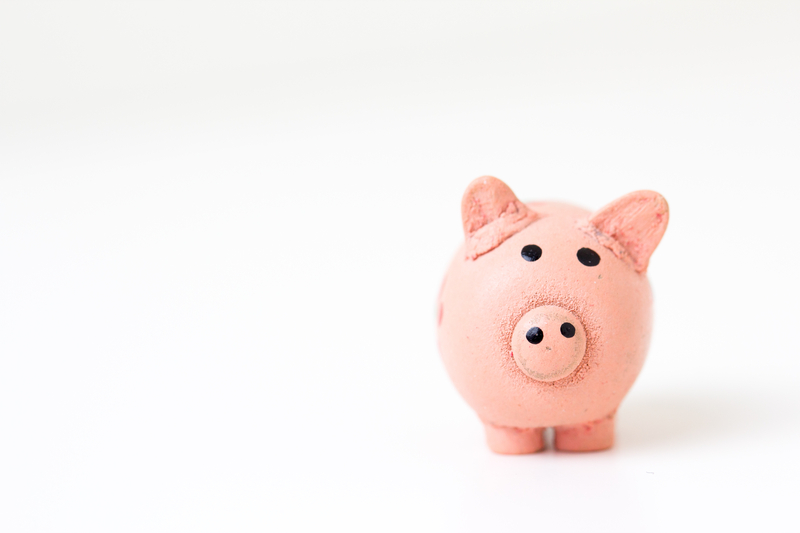 What are your financial institutions charging you to manage your money? Now is the time to look at the fees that you are paying for mutual funds, hedge funds, asset management, and credit cards, and banking. Don’t think you’re paying a fee? Consider what amount of money you have to keep with an institution to get “fee-free” services. Could that money be better invested elsewhere? A new service called FeeX scans your retirement accounts, shows you exactly what you’re paying, and suggests similar products that cost less. Over time, money not spent on fees can compound into an important component of your portfolio. Take a look at your charitable giving as a percentage of your income and consider whether it’s at the level you want. Also think about how you’re structuring your donations. Depending on your pace of giving, you may want to evaluate setting up a family foundation or a donor-advised fund, like Fidelity Charitable. This may allow you to maximize the tax benefits of your gifts. Now is also a good time to think about your charitable involvement. Ask yourself whether you want to join a nonprofit board, or continue with one you’re already on. If you’re anticipating a lack of time with your new job, this may be the time to step back from volunteering or find a less time-intensive way to help. Review how you are allocating your assets among stocks, bonds, cash, real estate, and other investments. Look also at retirement and educational savings. Talk to your financial advisor about areas where you should rebalance. Few investors think hard about their cash. This is money on the sidelines that could be working harder for you. Take a look at the yield your cash is earning in the bank. If you prefer to keep this portion of your portfolio liquid, consider online savings accounts, which pay as much as 10 times the national average in interest. A MaxMyInterest membership can help you earn dramatically more: our members now earn about 90 basis points – 0.90% – more on their cash than the average of 0.09%. For a member with $1 million in the Max system, that comes to an additional $9000 or so each year in extra interest. Gardening leave is the perfect time to make sure you’re not leaving money on the table before you start your new job. With one swipe and tap, you can pay for your meal and be on your way. 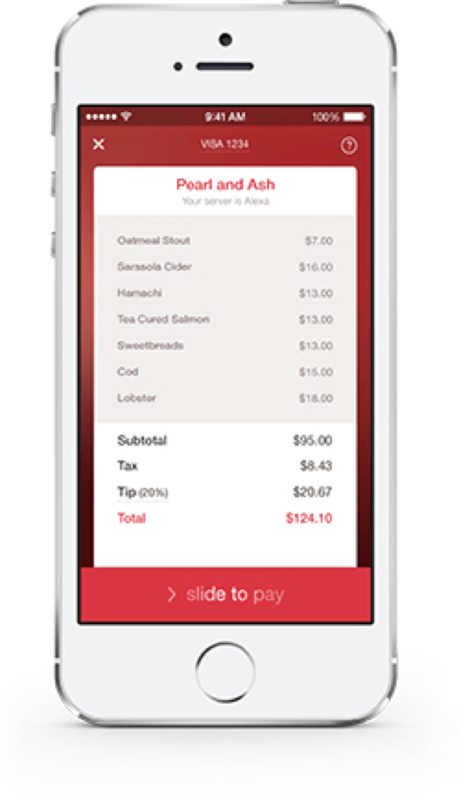 This morning, restaurant-reservation app OpenTable announced a new feature: Slide to Pay. At the conclusion of a meal, simply pull up their app to find a copy of your bill. With one swipe and tap, you can pay for your meal and be on your way. To start it works at 45 NYC restaurants, including Le Cirque, Artisinal, General Assembly and Smith & Wollensky. More are surely to follow in short order. What OpenTable has done here is simply brilliant: a game-changer in dining payment options. For restaurants, it eliminates paper, frees up server time, and keeps customers happier. For diners, it streamlines the most unpleasant part of the meal: payment. Now imagine how much better it would be if you could incorporate credit-card optimizer Wallaby’s technology, so that the OpenTable app would also pick the best credit card to use to maximize your rewards points. Part of the reason that I – and many others – love Uber, the fast-growing livery-car dispatch service, is that they’ve simplified payment. No longer do you need to dig out a credit card at the end of your ride, swipe, select a tip amount, and wait for a paper receipt. Payment is pre-wired, and automatic, with a receipt arriving by email. Consumer apps like these make optimizing life easier. So why is banking still so difficult? If you’re managing multiple accounts and need to move money from savings to checking on the go, it’s a complicated mess of logging into one or more banking websites, choosing from which account you’d like to pull the funds, selecting an amount, transfer date, and two or more confirmation screens. After all of this hassle, you may have inadvertently pulled funds from the least optimal account. With MaxMyInterest, we’ve tried to simplify funds transfers – much like OpenTable and Uber have simplified dining and transportation – via our Intelligent Funds Transfer(SM) feature. Let’s say you want to move money from savings to checking. Simply login to the Max site on your phone (no need to download an app), click on the arrow that points from savings to checking, type in an amount, and hit “Transfer Funds.” Max automatically pulls the requested funds from your savings accounts with the lowest interest rates and sends them to your checking account. Need to move funds in the other direction? Max automatically picks your bank accounts that offer the highest yields to receive the funds. It’s simple. So simple, in fact, that some of our members have dubbed it the “easiest funds transfer in the world.” And Max is an entirely closed system, connecting your accounts to one another, but not to the outside world. So money can never leave your own accounts. Hats off to OpenTable and Uber for making our lives easier. We hope you’ll find that Max makes banking easier, too. Some decisions you make now can affect your family’s financial picture for decades. A 529 plan account allows you to set aside money for college, graduate school, and other educational expenses while gaining substantial tax advantages. The accounts can be used for the named beneficiary — your baby — as well as any siblings or descendants, so you won’t lose the money if your child grows up to be a rock star or professional athlete and never goes to college. Because of the power of compounding, money that you contribute at birth for your child’s higher education will grow over time, tax-free. If you add funds regularly — many plans offer automatic deductions that let you contribute a set amount each month from your savings accounts — you could set aside a significant portion of your child’s tuition money by the time college comes around. Shop around for the best plans; each state has different rules. Consider choosing a plan that doesn’t require your child to attend college in a particular state, because you can’t know where your family will be living by then or what your child will prefer. Because of the tax advantages, it’s often worth your time to set up such a plan even if you don’t think you’ll have trouble funding your child’s tuition. The first $10,000 contributed each year is typically state tax deductible, so for someone living in a high tax state like New York or California, that could translate into a $1,000 savings on your state tax bill each year. 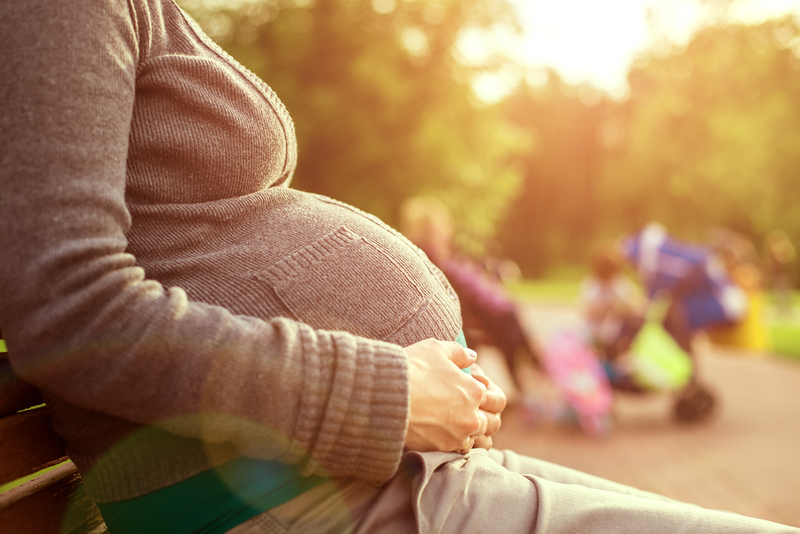 Not many other investments provide for a 10% gain on day one, and when combined with the fact that your 529 contributions grow tax-free, it’s obvious why establishing a 529 plan in the year that your child is born can be a wise finance move for new parents. Relatives may choose to give your child money as a baby gift. Consider setting up a savings account in the child’s name or in trust for the child. You can choose your own bank, or select the one with the best interest rates, since your child likely won’t be using this money for years. Credit unions and online banks typically offer the best rates — which matter since you’re planning for many decades of compounding. CapitalOne 360 offers online accounts for children that pay 0.75% in interest, and recently offered a promotion that funds the first $30 when parents set up an account for a minor. As soon as you start buying a separate airline seat for your baby — you’re not required to do this until age 2, but you may want to start earlier so the baby can sit in a car seat on the plane — sign up for frequent flier numbers on the airlines you fly most often. Just like an adult, a child of any age can amass airline rewards points to earn status while flying. Even if your baby isn’t a global traveller, this is important in oversold situations — air miles members are treated better than those without a frequent flyer number on file. Also consider applying for a passport in infancy, in case your family wants to travel overseas. Even if your child can’t hold his or her head up yet, passport photos can be taken at home by lying your baby down on a white blanket, snapping a head-and-shoulders photo, and taking the memory card to your local photo store, where they can convert the file to passport-sized photos. The fourth finance tip is to check with your lawyer to make sure your baby is named in your will — or at least that you’ve put in a provision for your direct descendants without naming them. Also make certain you’ve added your baby as a beneficiary on all your legal and financial documents: bank accounts, 401(k)s and IRAs, pensions, life insurance, and anything else with value. Who knows if we’ll be using email by the time your baby is old enough to type. Just in case, new parents should sign up for a free email account with a popular service like Google’s Gmail. Try to get the baby’s name (Joseph.William.Smith@gmail.com) if possible, but don’t put into the account name itself any details that you’ll want to keep secret, like the baby’s birthdate. Email accounts are a necessity for virtually all online services, including bank accounts. Once the email address is set up, you can also cc: your child’s email address whenever emailing family photos, creating a permanent storehouse for your baby that he or she will enjoy later on.